Scientists are stunned at the incredible new images of the surface of Pluto, its largest moon Charon and its farthest-flung moon Hydra, which are just the tip of the scientific iceberg that will be sent back by NASA's New Horizons probe in the wake of its epic flyby. At a media briefing held yesterday, leaders of the New Horizons team discussed some of the new images taken during and around closest approach. 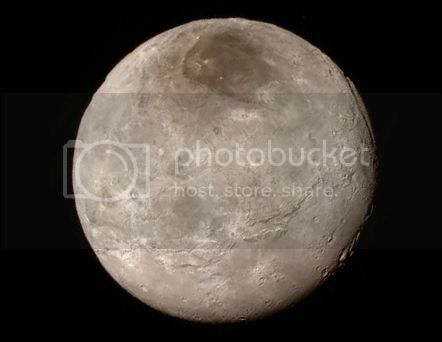 Among other amazing revelations, the new photos showed that Pluto's surface is surprisingly young and is studded with big, icy mountains; and that Charon has been geologically active recently and possesses canyons up to 6 miles (10 kilometers) deep. The Pluto flyby occurred exactly 50 Years after the 1st Mars encounter. On July 14, 1965, NASA's Mariner 4 probe flew by the Red Planet, becoming the first spacecraft ever to capture up-close looks at another planet.